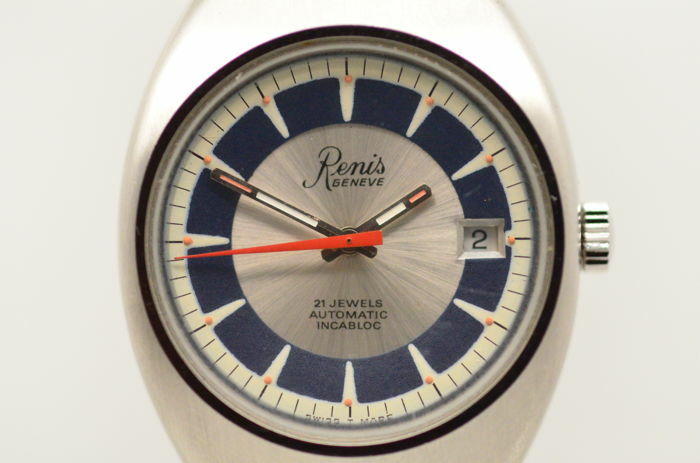 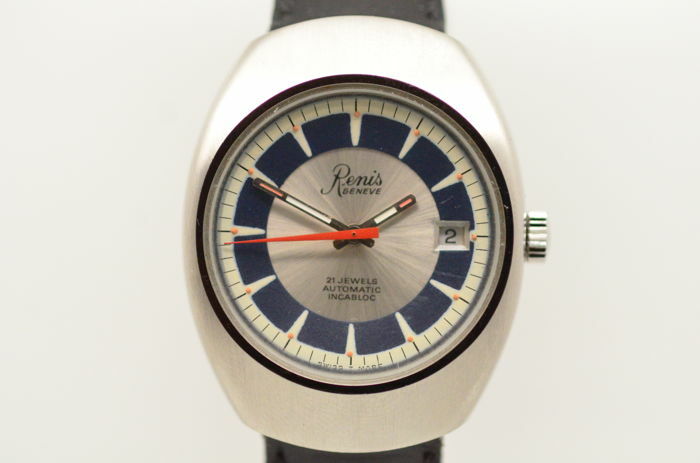 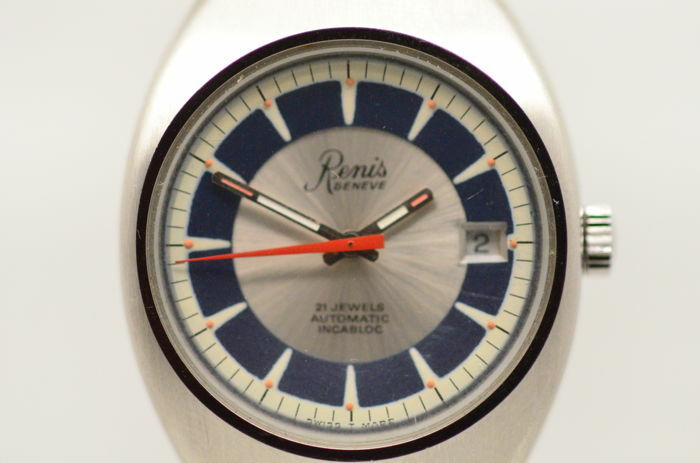 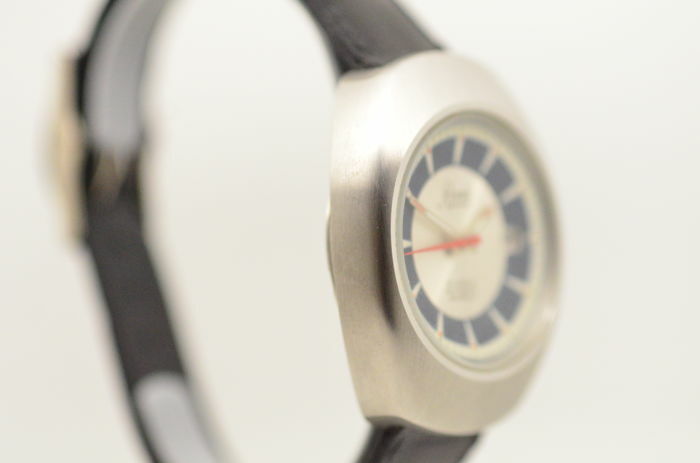 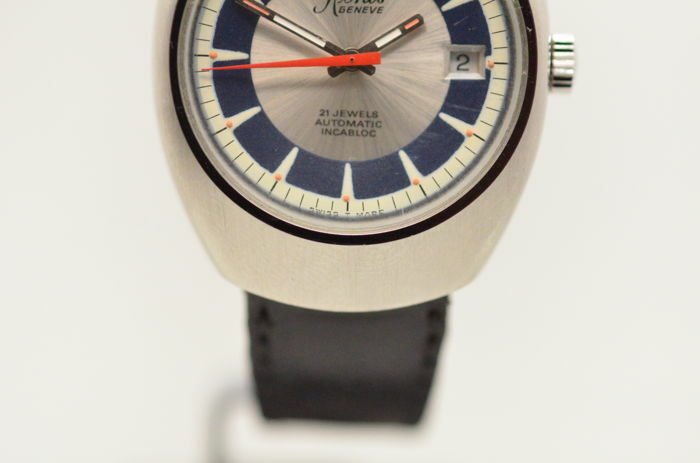 New Old Stock never worn Renis Geneve men's wristwatch from the 1970s. 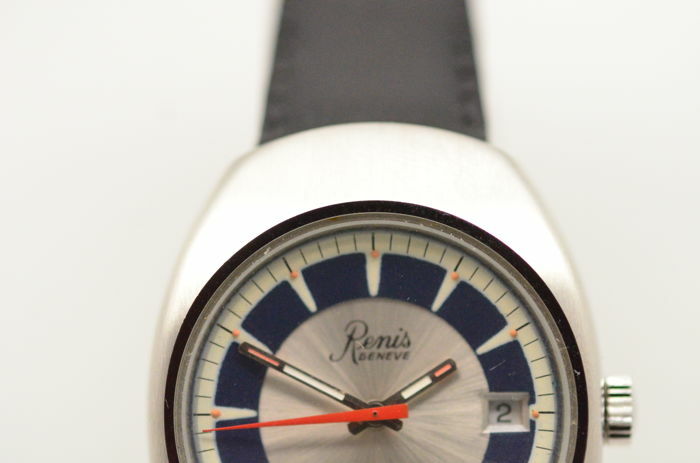 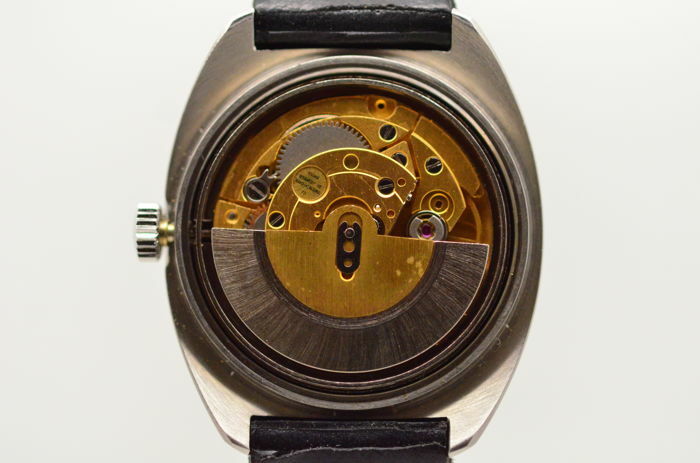 Fine, undamaged dial with date. 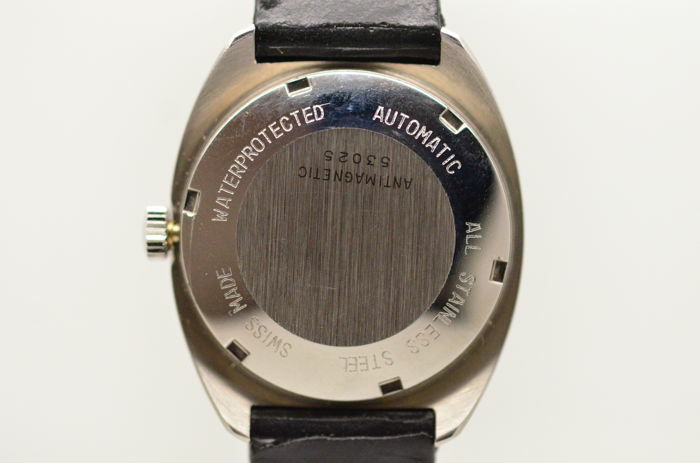 Excellent steel case without signs of wear. 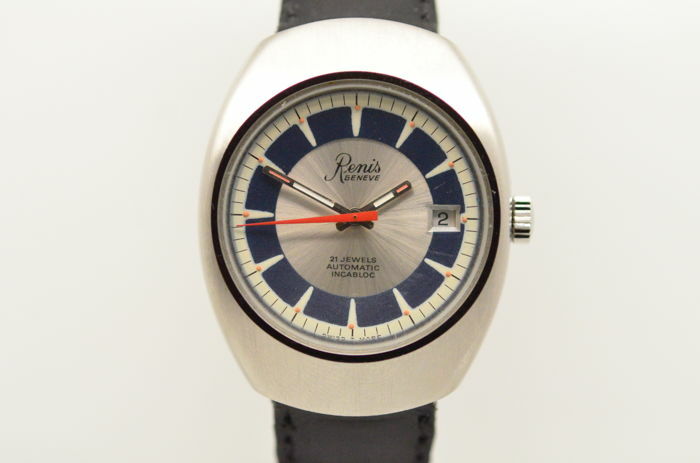 Beautiful and typical 1970s design! 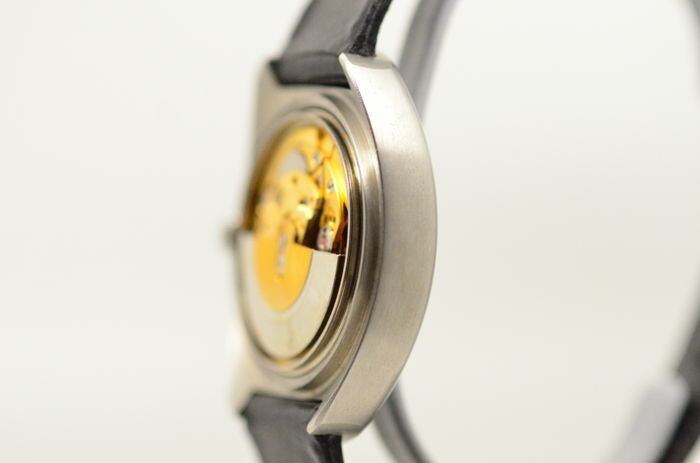 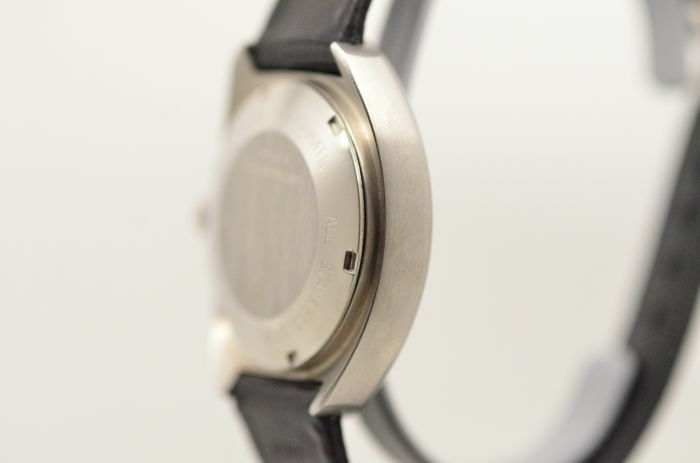 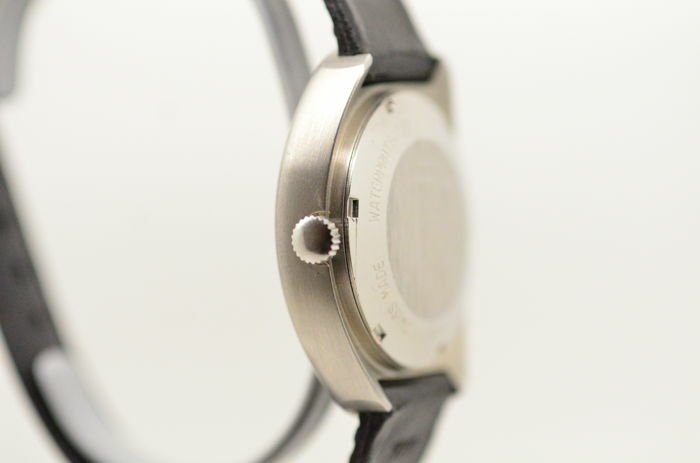 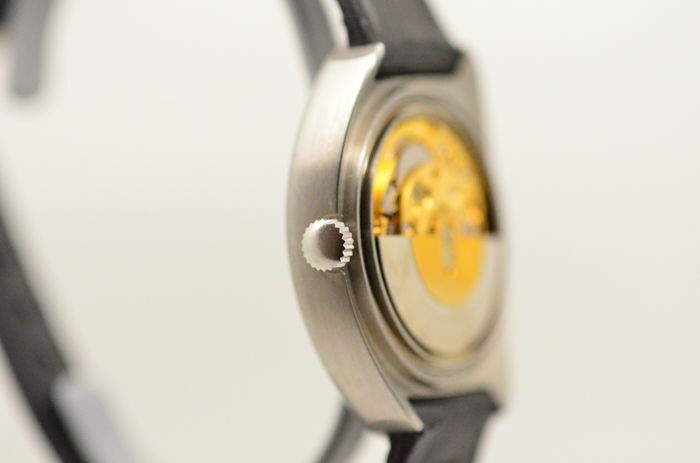 The width measured without the crown is 34 mm. 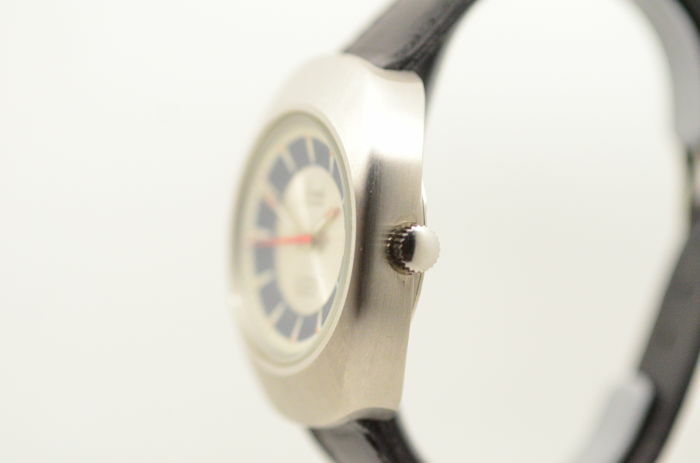 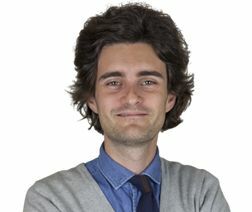 The height is 43 mm. 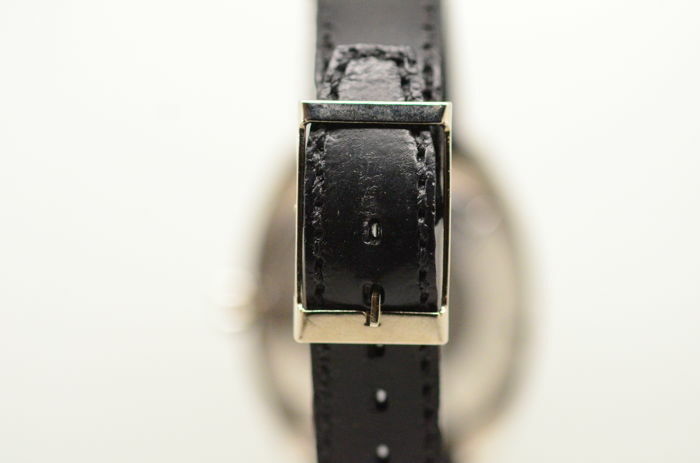 Strap length with clasp is 19.5 cm.